Brewerstreet Farmhouse is located in the pretty village of Bletchingley, Surrey. From Bletchingley village, take Church Lane out of the village in a northerly direction for about 1 mile. At the T-junction turn left and you'll find Brewerstreet Farmhouse 350 years on the right-hand side. ​Only 25 minutes by cab from Gatwick Airport for any international guests arriving on the day. 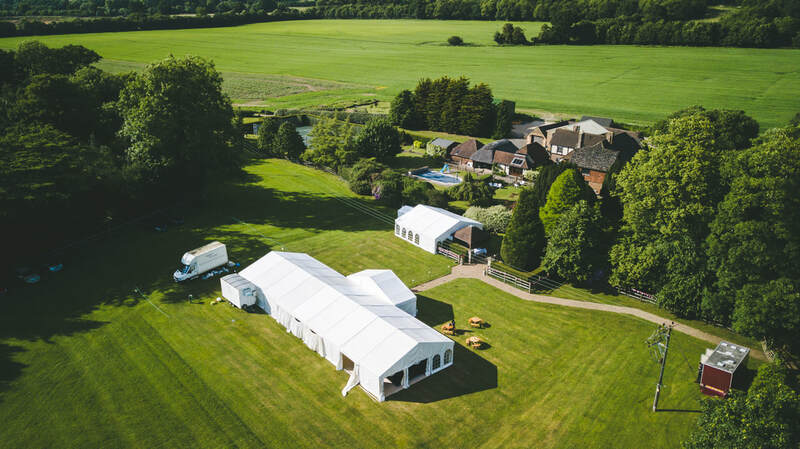 ​Extensive on-site parking facilities are available next to the marquee. Note, in inclement weather, hard surface parking is available across the road at the business park.